This fabulous Chocolate Bombe Cake is filled with mousse and a decadent ganache frosting. Preheat oven to 350°. Line 2 (13x9-inch) baking pans with aluminum foil, letting edges of foil extend over sides of pans; spray foil with nonstick baking spray with flour. 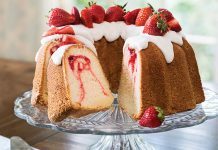 In a large bowl, whisk together flour and next 5 ingredients. In a medium bowl, whisk together coffee and next 3 ingredients. Add coffee mixture to flour mixture, beating with a mixer at medium speed until smooth. Pour batter into prepared pans. Bake for 15 to 20 minutes or until a wooden pick inserted in center comes out clean. Let cool completely in pans on wire racks. Spread Chocolate Mousse Filling over one cake in pan. Using foil as handles, remove second cake from pan, and invert cake over filling in pan. Remove foil from top cake layer, and gently press down to smooth out mousse. Cover and freeze for at least 2 hours or up to 1 month. 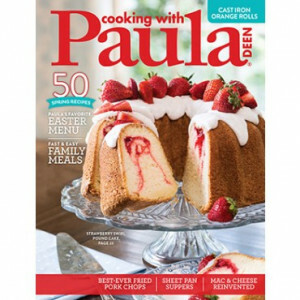 Using foil as handles, remove cake from pan, and peel back foil from edges. 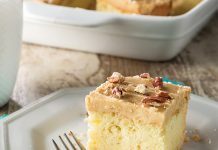 Using an electric knife or serrated knife, cut cake into 3-inch squares. 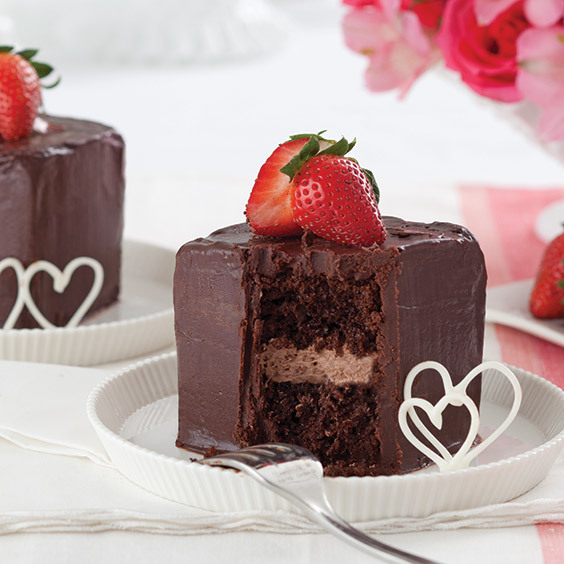 Place cakes on serving plates, and spread Chocolate Ganache Frosting on frozen cakes. 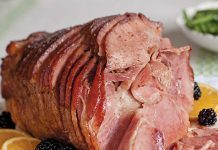 Let stand at room temperature for 30 minutes before serving, or cover and refrigerate for up to 3 days. Garnish with strawberries, if desired. In a small bowl, dissolve gelatin in 2 tablespoons cold water; let stand for 5 minutes or until softened. In a small saucepan, cook cream and chocolate, stirring frequently, over medium-low heat until chocolate is melted and mixture is smooth. Add gelatin mixture to hot cream mixture, whisking until smooth. Pour cream mixture into a medium bowl, and cover with plastic wrap, pressing wrap on surface of cream mixture to prevent a skin from forming. Chill for at least 8 hours, or refrigerate for up to 3 days. Beat cream mixture at medium-high speed with a mixer for 5 to 6 minutes or until stiff peaks form. In a medium saucepan, cook all ingredients, stirring occasionally, over medium-low heat until chocolate is melted and mixture is smooth. Use immediately.